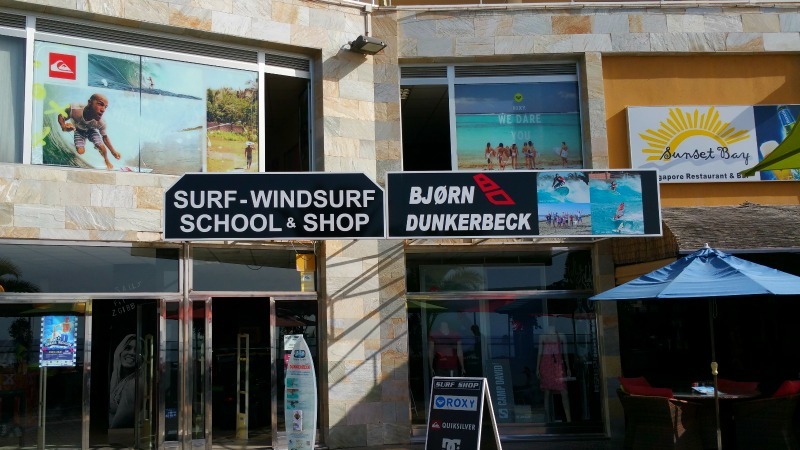 The Bjørn Dunkerbeck Surf and Windsurf School, or short BD SURF School, has its main location at the beach front of Playa del Inglés, in the Atlantic Beach Club Shopping Centre above the BD Surf Shop. 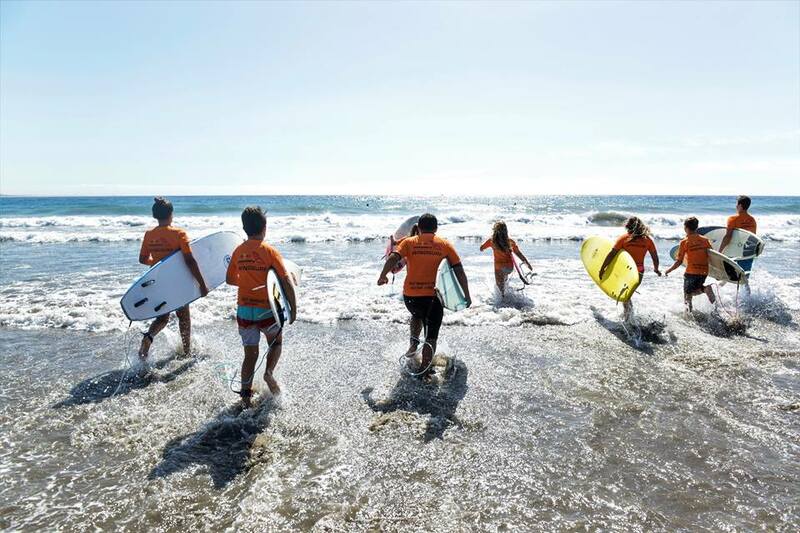 Whether it is surf, windsurf, stand-up paddle , body boarding or anything else to do with a board in the water, you want to learn from the best of the best. And they are here. 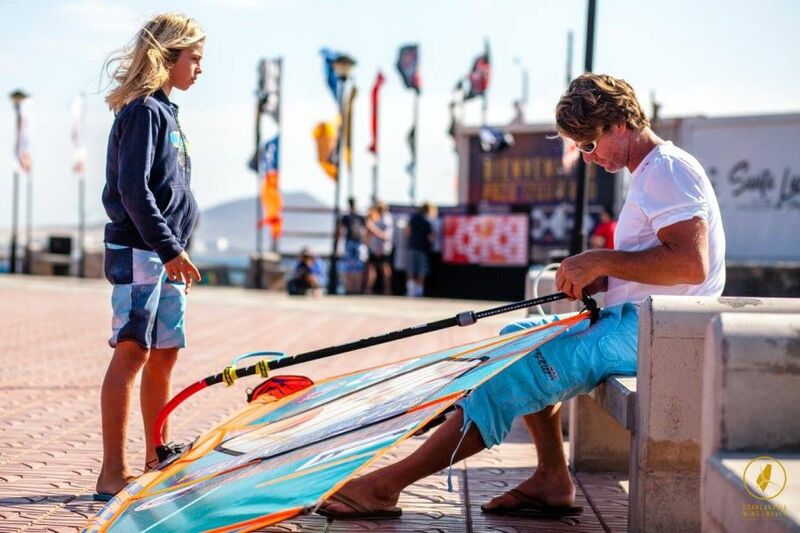 The multiple windsurfing world-champion, Bjørn Dunkerbeck oversees everything personally, so that only the very best tutors become part of his school’s instructor team. Beginners, Intermediates and Advanced: If you are a total beginner, they will teach you from scratch. 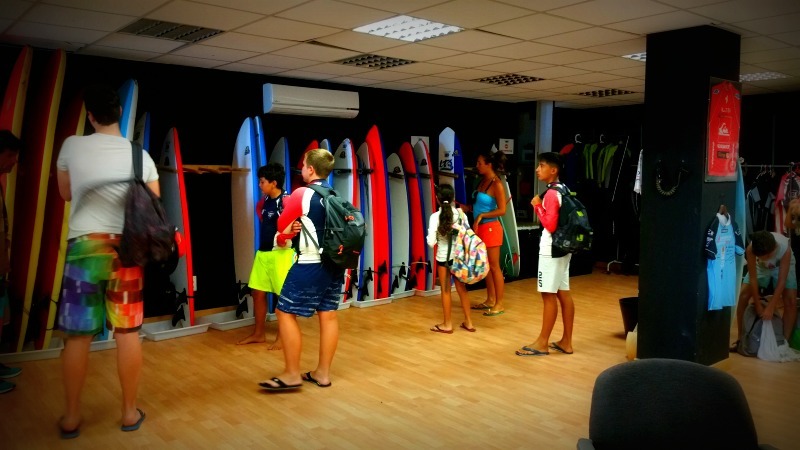 In that case it is best to book at least a 3 day course, which will teach you how to stand up on a surfboard and give you enough confidence to take the small waves in Playa del Inglés. Intermediates can learn more tricks from the professional teachers or the advanced can book a couple of hours refresher course and rent all the necessary surf gear for any number of days. The school picks you up and brings you back to your hotel if needed. 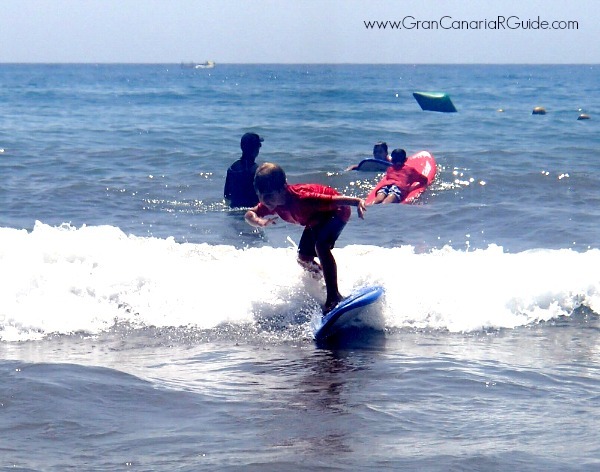 And they take you to the best waves on Gran Canaria, which also are in accord with your skill level. 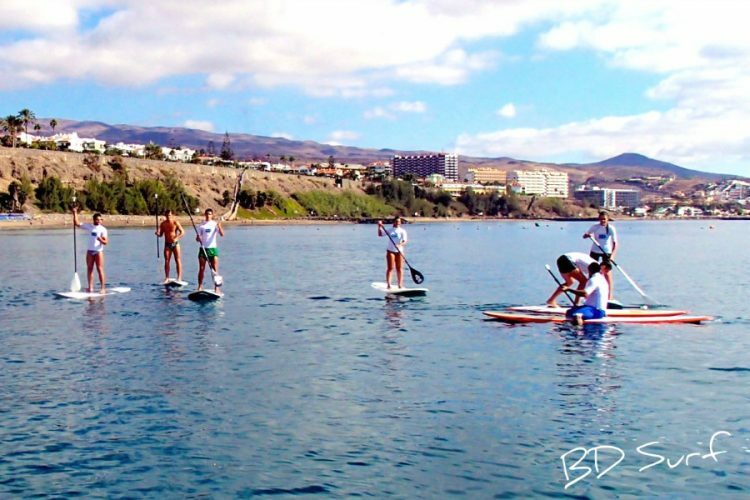 The Windsurfing courses are held at the Dunkerbeck Windsurf Center in Playa del Águila about a 10 minutes drive from Playa del Inglés. 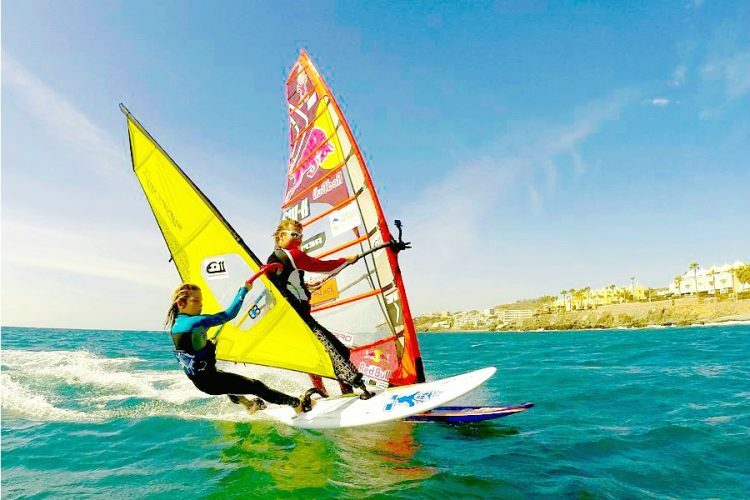 The windsurfing instructors will fit you with the right board and sail, as well as a wet suit, and teach to you in detail how to stand on the board, and steer the sail in the wind. The same as with surfing and windsurfing, you will learn how to become confident enough at the sport to actually enjoy stand-up paddle boarding with an day or two. Of course, if you are already proficient at that popular water sport you can also just simply rent your equipment at the school for any number of hours or days. 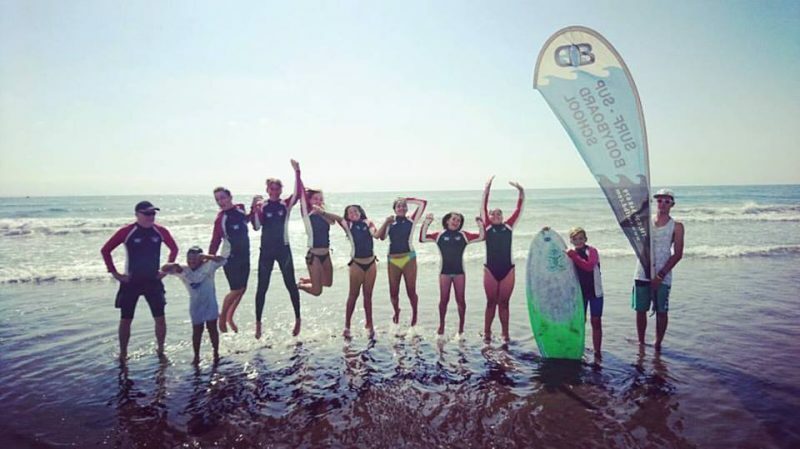 The surf school offers regular special week-long surf camps for kids and adults during the Christmas, Easter and summer school holidays. 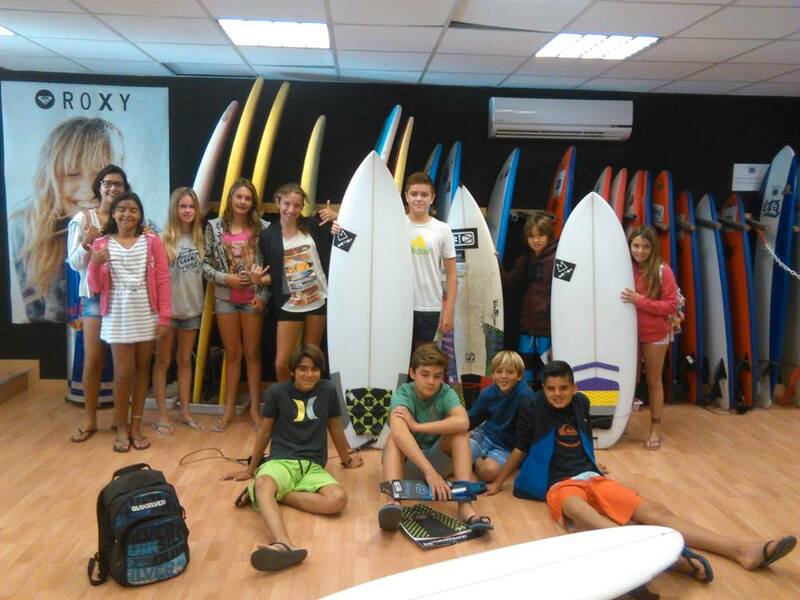 During the summer, children can participate for a whole month or even a full two months, in the surf camps. Single day courses are also available. Young newbie surfers learn step by step, the proven techniques from the surf school instructors, standing up on the board, understanding the signs of the swell and the right timing. Group classes begin usually at 10h and last until 15h. 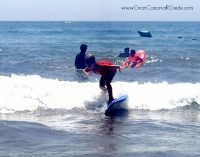 The participants are provided with a surf suit, the right size board and group training with experienced surf instructors. Of course, you can also book private or semi private lessons in super small groups. Private lessons will of course speed up your learning tremendously. Whichever the case, first and foremost, the BD Surf School team wants you to have fun!